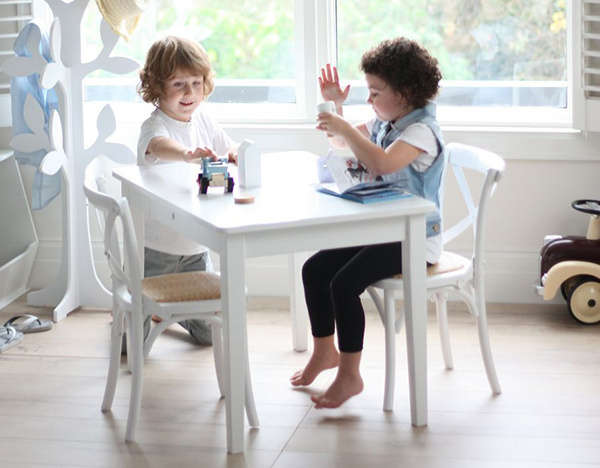 Christmas is the perfect opportunity to give a little special something to help add character and zhush (yes it’s a word now) up your child’s space. Click on through to discover our decor suggestions and more. Pretty up a bedroom or just give your child a fancy place to play with this darling pink pom pom canopy from Pottery Barn Kids. Made from soft netted tulle, it will make all their fairy tale dreams come true and makes for a special – and different – Christmas gift for little girls. Designed to go over a single bed for older children, or to define a play space, we can also imagine it creating a perfect fairy bower on pleasant summer days in the back garden. The pink pom pom canopy costs $124 from Pottery Barn Kids. A long time favourite of Babyologists, Cocoon Couture always hits the nail on the decor head. 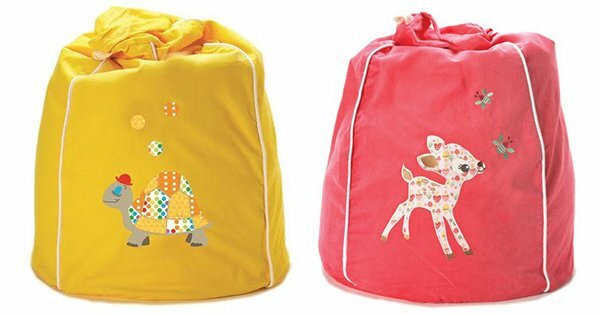 Everyone can have their very own seat with a super cute Cocoon Couture Bean Bag – they’re sized especially for children. There’s a menagerie to choose from including Ted The Turtle, Dreamy Owl and Timmy Tiger in the collection of 17 (good luck choosing!) applique designs. Beanbags are made from buttery soft cotton pinwale cord and are machine washable. Priced $85 each, order yours direct from Cocoon Couture. If it’s hours of imaginative play you’d like to cater for, the awesome 3D IVI Interactive Play Rugs from Danish By Design are utterly perfect for doing just so. 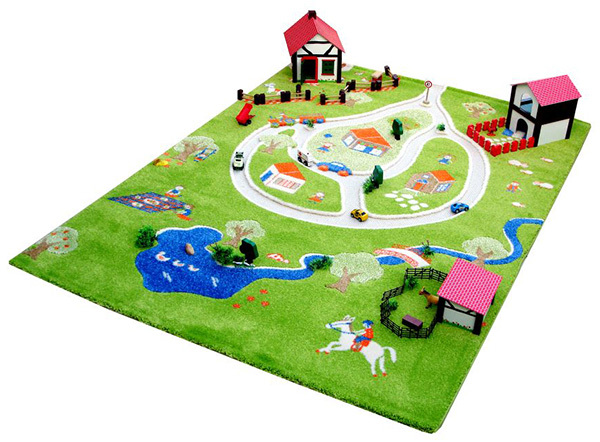 Choose from several themes including Farm, Formula 1, Mini City, Playways, Soccer, Traffic and Twin Houses, there’s certainly something for every imagination. With play rugs so rich in colour and texture, it will be little surprise to see children while away the hours creating play scenes. Available in two sizes, IVI Interactive Play Rugs are priced from $159.95 and can be purchased from Danish By Design. Batman fans will adore the Meeny Miny Always Be Batman print. It’s a simple monochromatic that’s both fun and sure to be a hit with children, from kid to tween. In fact, this cheeky one liner tickled my funny bone and is on my own gift list – now just to decidewhich son gets it! 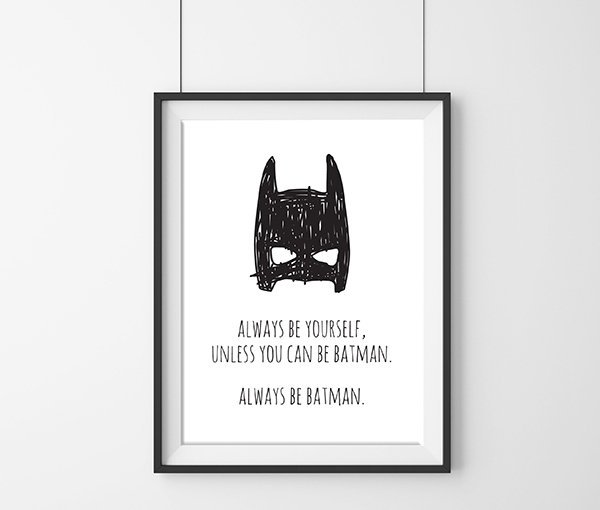 The Always Be Batman print is priced from $24.95 (A4 size) and available from Oliver’s Twisty Tales. Once baby starts to sit and crawl, you’ll want to give them a soft place to play. The Little Friends Bubba Mat is just that – a soft, bright play mat with plenty of space for all baby’s toys as well as plenty of room to roll and play. But it’s not just any ordinary mat – this one comes with a secret learning focus to boot. Cheerful pictures on the front help grab baby’s attention and are the starting point for learning new words while the underside is printed with alphabets, numbers and shapes, so it’s just as useful when your baby turns into a toddler. Add in the fact that any spills or messes easily wipe clean and this is one mat that certainly earns its spot under the Christmas tree. 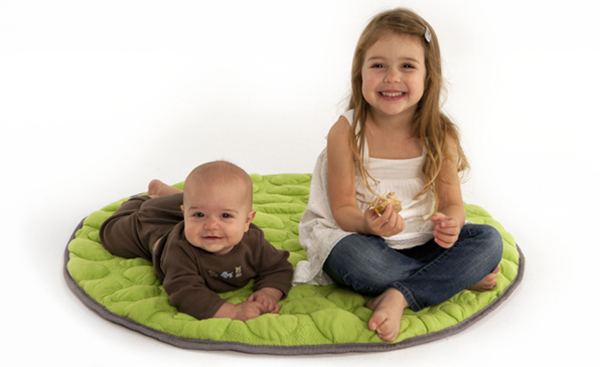 The reversible Little Friends Bubba Mat costs $199 from Soft Mats. Felt is right on trend for children’s rooms so Driftwood and Felt Mobile is a ready hit in the nursery or play space. 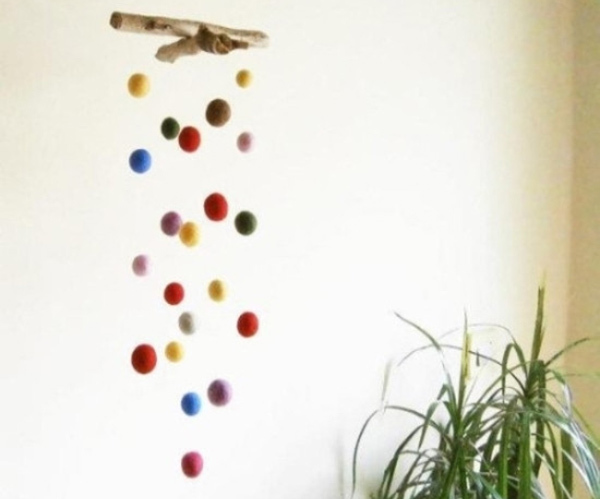 Beautiful lightweight felt balls in a rainbow of colours will dance and sway in the breeze as they hang from a gorgeous rustic driftwood frame. A beautiful contrast of texture and colour, it’s a mobile that’s a feast for the senses! The Driftwood and Felt Mobile is priced just $29.95 from Nest Etc. You’ll be hard pressed to find a spot on the kids’ table on Christmas Day f it’s as beautiful as this Hamptons style version from Hip Kids. The possibilities are endless for crafting, playing, drawing and eating at this gorgeous little set. The Hamptons table and two chairs set will set you back $259 and will be money well spent. Choose from all white tables and white chairs or add some contrast with oak chairs. Order soon to ensure Christmas delivery from Hip Kids. Everyone needs a special place to keep their most favourite books. Somewhere easy for children to access their bedtime reads is in the Wooden Book Holder. A divided box makes it easy for children to spot the covers and it doesn’t take up half as much room as a regular bookcase! 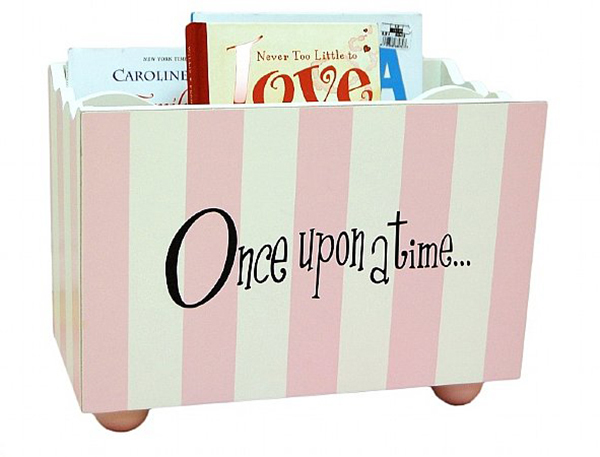 Neat and easy book storage is only a click away at Petite. Choose from pink or blue, the Wooden Book Holder is priced $99. It’s fair to say I’ve been rather hung up on the Red Hang Gang hangers. They are far, far too excellent not to be proudly displayed on a wall or shelf for all to see. The hand painted colourful range includes jewellery hangers such as this one above, hangers for caps, hangers for just about everything – just don’t hide them away in the wardrobe! Priced from £12.50 from Folksy, I wish you luck in choosing just a few. 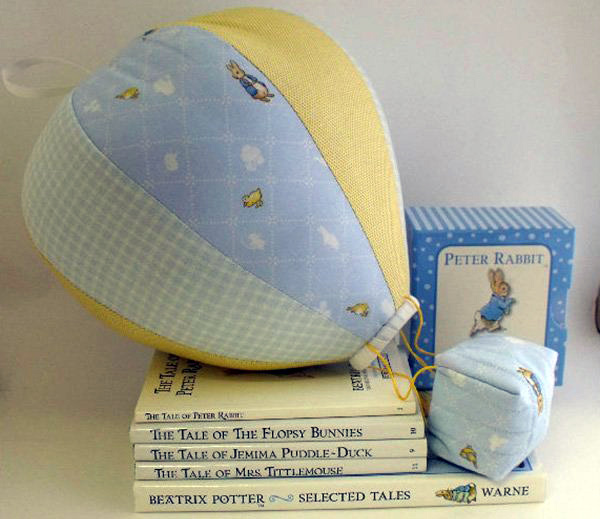 A super sweet handmade touch to a little one’s nursery can be found in the yellow, blue and cream hued Peter Rabbit Hot Air Balloon Mobile from Etsy treasure Egg and Nest. At a lengthy 40cm with a beautifully plush balloon that spans a 65cm circumference, this is one mobile that’s set to delight the littlest of people. Spot the darling little Peter Rabbits on the gorgeous cotton print and of course think of the places he could go if he traveled in the hanging basket! The Peter Rabbit Hot Air Balloon Mobile makes for a gorgeous gift for lovers of the classic Beatrix Potter tale, is priced just $40 and available from Egg and Nest. For a play mat that doesn’t dominate the living area or for an easy to transport play spot with a funky modern edge, we adore the pebbled look Nook LilyPad Playmat. Perfect for tummy time or a play in the park, the luxe LilyPad Playmat is made with a breathable organic cotton and Eucalyptus cover and uses recycled PETE for its core, giving babies a soft, sensory surface on which to play. Generously sized at a metre round, the LilyPad Playmat is available in three colours – lawn, poppy and misty, they’re available from The Nursery Bird for $185. Here’s a unique gift idea. 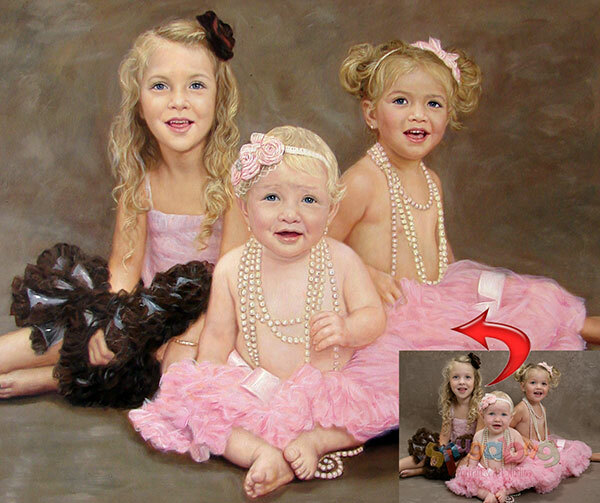 Love Custom Art can turn a much loved photo print into a sensational canvas painting to grace your wall from as little as $95 (pricing varies depending on subjects and sizes) using their Photo to Painting service. Love Custom Art can turn snapshots of your children, holiday destinations, even pets into wall art with serious wow factor. Each painting is handpainted by a professional, you can choose from oil paint, water colour, pastel, acrylic, charcoal or pencil finishes, depending on your preferred style. For more information, examples and ordering, head over to Love Custom Art.